Happy New Year, spellcasters! 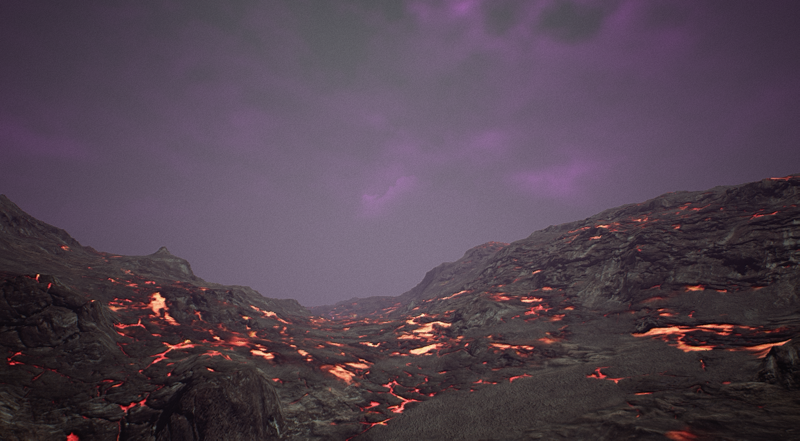 Another few weeks have gone by and a few more changelogs have gone into source control. This latest patch includes two new runes, enemy weapon enchantments, improvements to as we march towards beta, and a performance boost! From all of us at Scraping Bottom Games, we want to wish you a Happy New Year! We’ve created a new rune for projectiles that will seek out nearby foes. The greater the rune’s power, the more dogged the spell will chasing its target. 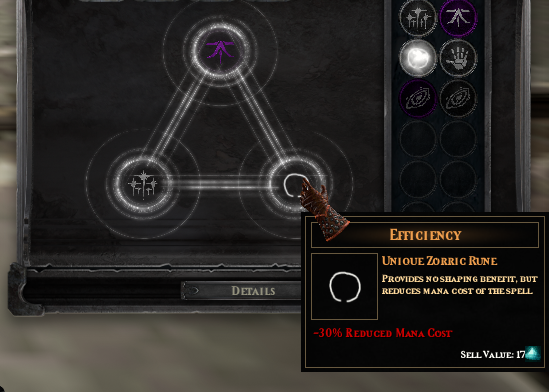 We’ve also added a new Efficiency rune—While it provides no benefit to spell shaping, it can be used to significantly reduce a spell’s mana cost. This is more important as we have added a mana cost modifier to the runes. While we’re still at least a few months away from Beta, we’ve made some enhancements to the further chapters of the game. Improvements have been made to the Bandit/Militia faction to scale through chapter 8 more effectively. The closer to region 8 you get (starting in Region 4), you will start finding more powerful and better equipped bandits. The Inquisition will start sending their elite soldiers capable of throwing javelins at you from a distance as you progress further into the game. Improvements to the Corrupted will be coming in later patches. There is now an “End” boss at the end of Chapter 8. He is missing some intended features and balancing, but we wanted to add some additional challenge to our alpha players. Good luck on your road to the end of Chapter 8! Chip was getting really tired of seeing enemies with the same non-functional weapon enchantment every time. As a result, bandit weapons can been enchanted with fire damage over time, slowing chill, or a brief lightning stun. Additionally, Inquisition knight captains will have a holy enchantment that boosts their damage. Runes affect mana cost – the more powerful the rune, the higher the cost! Performance Increase – Performance with Shadows Set to Med-Epic should have much better performance. We’ll be hosting our next Twitch stream on 1/10 at 8pm PT—We hope to see you there! Lately I have been getting a crash that locks up my entire system. Is there a log I can send you guys that might help with this?